The authors share findings, insights, and implications from “Going Virtual! The Status of Professional Development for K12 Online Teachers,” a 2007 report supported by the North American Council for Online Learning (NACOL, now known as iNACOL). The authors conducted a national survey of 259 K-12 online teachers, administrators, and professional development trainers to gain baseline information on the status of K-12 online teacher professional development. This paper provides three main insights from the study: the influence of evolving context on professional development; the broad continuum of professional development practices & models; and global and situation-specific professional development needs. It discusses implications for K12 online teacher professional development practice, policy, and research. Rice, K. & Dawley, L. (2009). The Status of Professional Development for K-12 Online Teachers: Insights and Implications. 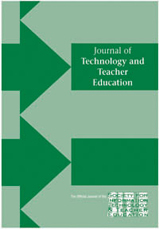 Journal of Technology and Teacher Education, 17 (4), 523-545. Waynesville, NC USA: Society for Information Technology & Teacher Education. Retrieved April 19, 2019 from https://www.learntechlib.org/primary/p/28226/. Barbour, M., Kinsella, J., Wicks, M., & Toker, S. (2009). Continuing change in a virtual world: Training and retraining instructors. Journal of Technology and Teacher Education, 17(4), 437-458. Berliner, D. (1994). Expertise: The wonder of exemplary performances. In J. Mangieri & C. Block (Eds. ), Creating powerful thinking in teachers and students: Diverse perspectives (pp. 161-186). Fort Worth, TX: Harcourt Brace College. Clark, T. (2001). Virtual schools: Trends and issues: A study of virtual schools in the United States [Electronic version]. Malcomb, IL: Western Illinois University. Compton, L.K., Davis, N.E. & Mackey, J. (2009). Field experience in virtual schools— To be there virtually [Special issue]. Journal of Technology and Teacher Education, 17(4), 459-478. Dall’Alba, G., & Sandberg, J. (2006). Unveiling professional development: A critical review of stage models. Review of Educational Research, 76(3), 383-412. Gross, D., Truesdale, C., & Bielec, S. (2001). Backs to the wall : Supporting teacher professional development with technology. Educational Research and Evaluation, 7(2), 161-183. Ketelhut, D. J., McCloskey, E., Dede, C., Breit, L., & Whitehouse, P. (2006). Core tensions in the evolution of online teacher professional development. In C. Dede (Ed. ), Online professional development for teachers: Emerging models and methods (pp. 237-263). Cambridge, Ma: Harvard Education Press. Knapp, L. (1996). Restructuring schools with technology. Boston: Allyn & Bacon. Larreamendy-Joerns, J., & Leinhardt, G. (2006). Going the distance with online education. Review of Educational Research, 76(4), 567-605. Lowes, S. (2007). Professional development for online teachers. In C. Cavanaugh & B. Blomeyer (Eds. ), What works in K-12 online learning. Washington, DC: International Society for Technology in Education. Rice, K. L. (2006). A comprehensive look at distance education in the k-12 context. Journal of Research on Technology in Education, 38(4), 425-447. Sternberg, R. J., & Ben-Zeev, T. (2001). Complex cognition: The psychology of human thought. New York: Oxford University Press. U. S. Department of Education (USDOE). (2004). Toward a new golden age in American education: How the internet, the law and today’s students are revolutionizing expectations. National Education Technology Plan 2004. Washington DC: Author. Watson, J., Gemin, B., & Ryan, J. (2008). Keeping pace with k-12 online learning: A review of state-level policy and practice. Evergreen, CO: Evergreen Consulting. Yin, R. K. (1993). Applications of case study research. Newbury Park, CA: Sage.